The Flower House was thrilled to once again be part of this amazing show at Casa Real for all the Casa Real and The Palm Event Center Brides and Grooms. Together with Fantasy Sound, Pleasanton Rentals, and Cake Delight, we created two stunning vignettes, The Rustic Amore, and Classic Glam. 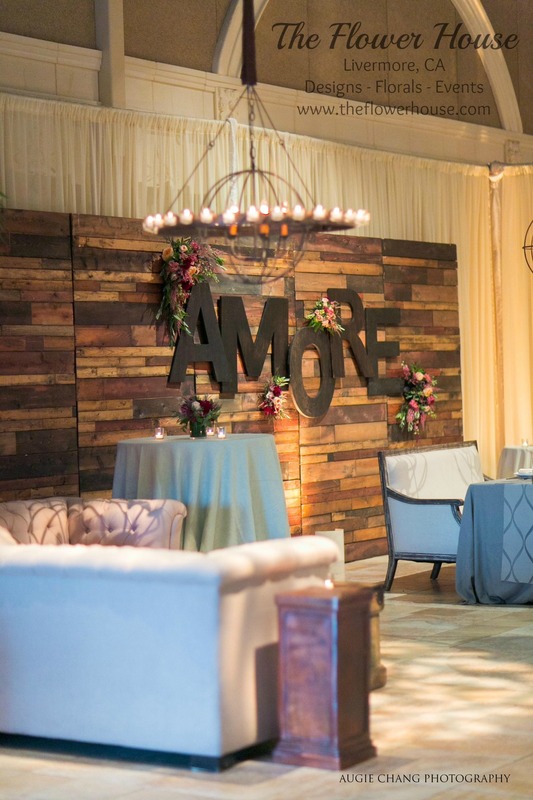 The Rustic Amore vignette was most noted by the massive weathered wood wall with none other than "Amore" in dark wood letters done by Fantasy Sound along with the orb chandeliers and all the lighting. The table lines and place settings are by Pleasanton Rentals. For the flowers we choose a loose organic design with rich bold colors in fun asymmetrical shapes. The flowers included garden roses, wine dahlias, red hanging amaranthus, pink astilbe, blush tea roses, olive branches, bay leaf, and black monkey tail ferns. 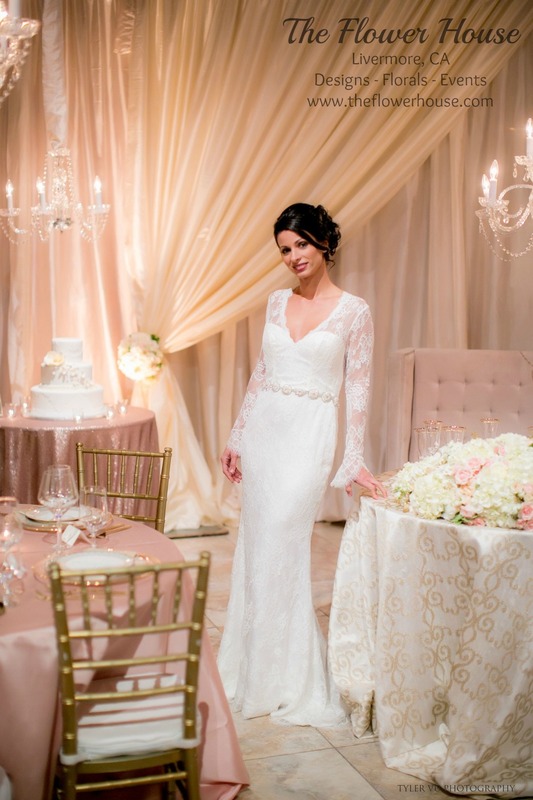 The elegant Classic Glam vignette was soft and romantic in whites, creams, blush pink, and champagne. 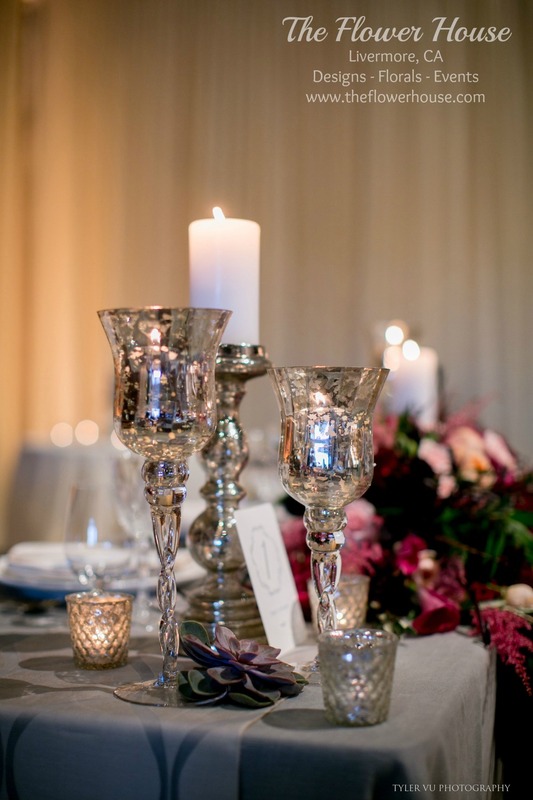 The stunning drapery and the sophisticated crystal chandeliers as well as the rest of the lighting is by Fantasy sound. 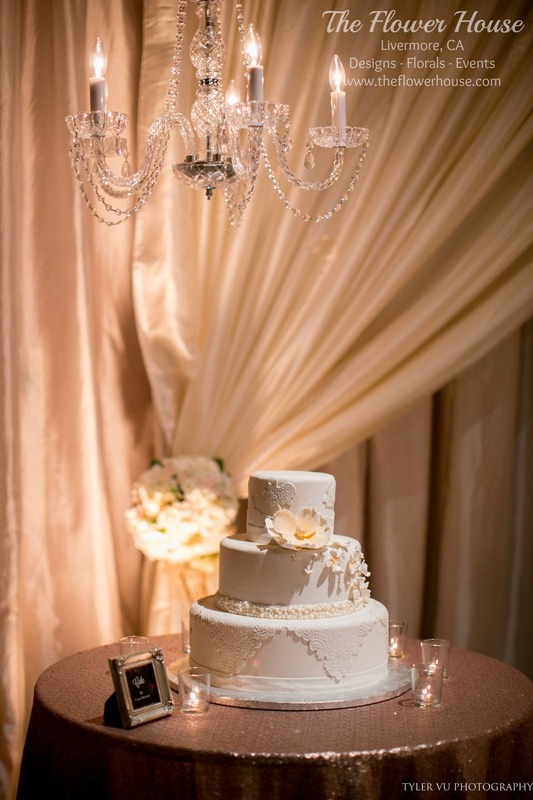 The blush pink linens, the gold chavari chairs, and the stunning place settings are by Pleasanton Rentals. 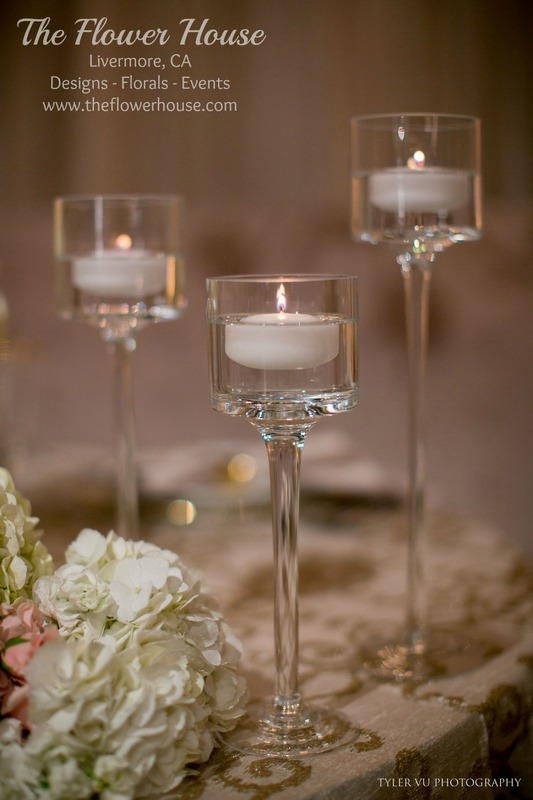 We used a soft romantic pallet and a controlled and rounded design of white hydrangea, blush pink tea roses, white calla lilies, white roses, with accents of gold hydrangea. It was an absolute pleasure working with the Casa Real team as well as designing the vignettes with Fantasy Sound, Pleasanton Rentals, and Cake Delight.